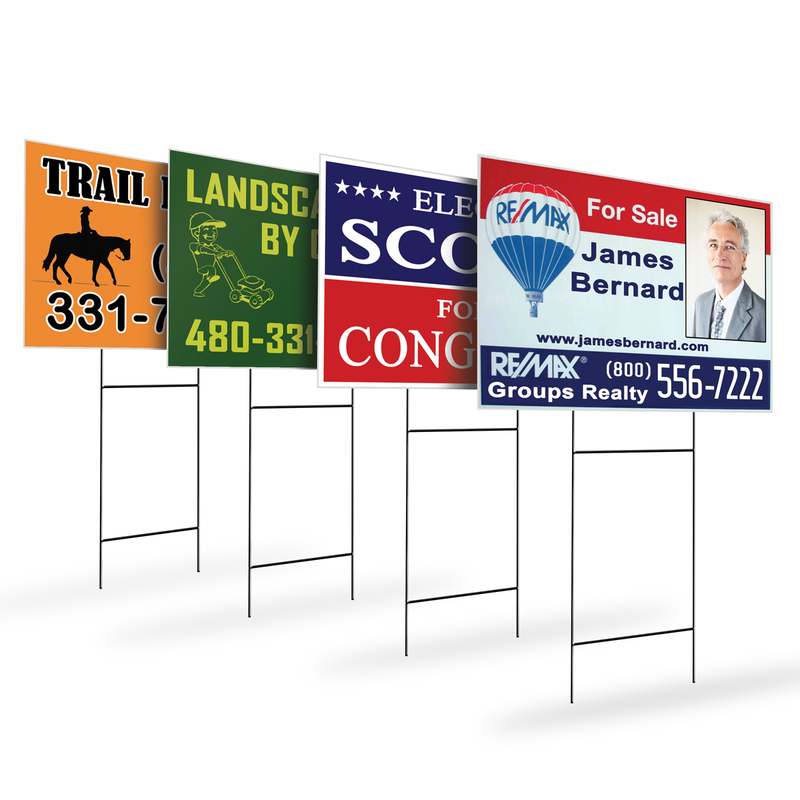 Full color custom yard signs printed on 4mm coroplast. Available size: 24"x18" in single or double sided printing. Optional H-Stake for mounting it on the ground. Metal H-Stake is inserted into the "flutes" of the material. Note: If you are using them with H-Stake. Be sure to specify when you order that you need vertical flutes.